Many of us toil away for years on our chosen academic path to make sure we have the skills and knowledge so that we are employable in a highly competitive job market. Our success is defined by securing a job in the industry area in which we can maximize our GIS skills. However, this success also depends on having the skills to communicate our way through an interview and fit into the values of the organization. The education system prepares us with hard skills. These are skills that can be described from theory, tested in practice, and assessed using quantitative measurement. There is an equally important set of skills that are less tangible and not really taught in class beyond our adolescent years. These are soft skills. Already I can hear many of you say, “I’ve got them.” But do you really have them to be an effective manager? Soft skills can be defined in so many ways. I personally like the description of people skills because this encapsulates the very essence of what is important in business—people. No matter how much technology, data, or revenue turnover we have, people make companies and organizations great. We deal with people in many ways every day in the workplace. How we interact with individuals has a dramatic impact on them, our business outcomes, and us. The 2015 report State of the American Manager, by Gallup, stated that most managers are wrong for their roles. The study of employee engagement found that just 30 percent of US workers are engaged. This demonstrates a clear link between poor management and a nation of checked out employees. This statement doesn’t point to any specific components of poor management, but there is clear evidence in the report that people skills are paramount for success in managing and leading people. Why Are People Skills Important? Think of people skills as a toolbox from which you can draw to resolve an issue or influence an outcome. Some of these skills include communication, emotional empathy, resilience, self-confidence, personal values, and the ability to mobilize your boss. People skills are not only important when engaging with customers and clients. They are equally—if not more—important when it comes to influencing executives and leading teams and employees. In today’s complex workplace, individuals with good people skills are more likely to be able to influence up, sideways, and down with ease. The results of increasing business influence are better employee engagement, lower turnover of staff, and—at a personal level—more opportunities for career success. Many people in our industry are introverts. They excel in using their hard skills in solitude. They have fewer people skills than others in the workplace. This makes it harder for them to rise above others who have better soft skills. Later in that same article, he added, “Failing to make a good first impression means missing out on good business deals and opportunities, and that hurts any kind of business.” Apply this statement to yourself. Do you have the people skills to make a good impression, secure personal development opportunities, and be front and center for the next promotion in the organization? Are You Speaking My Language? Over the years, I have spoken with many individuals about the importance of people skills one-on-one or at meetings, such as the GIS Managers’ Open Summit at the Esri User Conference. The most common questions are about communicating with and influencing others to act. I believe communication is one of the foundational people skills. Communication comes in many forms: speech, writing, sign language, dance, storytelling, maps, pictures, and social media—the list goes on. We all understand that good communication is essential for our success. What I have found over the years is that GIS professionals talk great geo jargon—and generally speak to the like-minded people in the room. Think about the last time you were at a conference and walked up to a stranger and introduced yourself. For many people, especially introverts, that is a very difficult thing to do. This simple action requires you to use many skills, like self-confidence, emotional empathy, and resilience. Then there are formal meetings with a client or an executive. Often technology professionals default to acronyms and jargon to impress or sound knowledgeable. However, this often has the opposite effect. Recently I was in a meeting with a group of executives in which a technology professional spoke on a very technical level. She was very enthusiastic and excited about her topic, schema design and databases. The executives were confused, but nobody wanted to interrupt her. The senior managers appreciated her professional enthusiasm and let her finish although they understood little of what she was talking about. After the meeting, one of the executives asked me, “What is a schema thing?” My response was to relate it to something familiar—an organizational chart. An organizational chart shows who and what is connected and in what way, which provided a general sense of what a schema is. It was not a complex answer but one that was easy to understand. It is of utmost importance to consider the audience and structure the language and conversation at their level. You should go even further and speak musically. This means modulating sound, silence, and tempo to make each word count. Listen to other professionals. TED talks are a great resource. Practice communicating so your messaging will become engaging, consumable, and relevant to your audience. As a GIS professional, you need to speak many languages. Is mobilizing your boss a people skill? Influencing is, and therefore mobilizing fits into the people skill toolbox. I have always liked this quote by Benjamin Franklin, “Tell me and I forget, teach me and I may remember, involve me and I learn.” This is the essence of mobilization. You must involve the boss if your GIS is to succeed. It is evident that organizational change is more frequent now than in the past. GIS teams may have established themselves over the years in an engineering section, information and communication technology division, or a scientific unit. GIS teams are now more often seen as enablers that can be established anywhere, moved anywhere, or even federated across an organization. As a result, it is more relevant than ever before for GIS professionals and managers to utilize people skills to successfully mobilize the boss. The challenge is one of self-awareness: to know how and when to use the whole toolbox, which includes organizational awareness, adaptability, resilience, self-confidence, influence, empathy, and effective communication. Mobilizing the boss requires understanding what motivates and what irritates that boss. Most important, it requires an ability to build an environment of trust so that your advice about how GIS can best be utilized is acted upon. In conclusion, in the words of CrossFit founder Greg Glassman, “Hiding from your weaknesses is a recipe for incapacity and error.” Our greatest challenge is to do something that we do not practice every day. For many GIS professionals, this is reaching into that toolbox of soft skills often so you can become better with them through practice. You might just have to work harder at it than others. 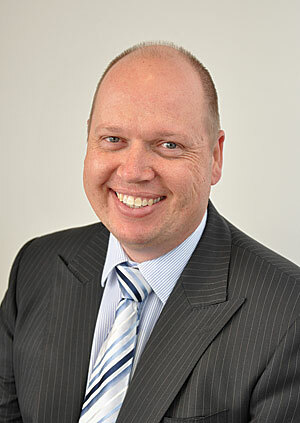 Gary Maguire is the senior geospatial intelligence officer for the Department of the Premier and Cabinet, South Australia. He has been involved in the spatial industry for 32 years and has led several major state government geospatial initiatives. He has held several executive positions including the president of the Surveying and Spatial Sciences Institute and a board member of the Centre for Spatial Law and Policy. In 2014, his team was recognized by Esri with a Special Achievement in GIS Award. He is a fellow of the Leadership Institute of South Australia.